If you are a federal employee or government contractor whose security clearance is under review (commonly referred to as the Applicant or Clearance Holder) and you are in the process of having your case heard before the Defense Office of Hearings and Appeals (DOHA), there are a number of considerations to take into account as you move forward to the hearing. A topic that often comes up in our law firm’s security clearance practice involves the issue of how to best prepare for an upcoming administrative hearing before an administrative judge with the Defense Office of Hearings and Appeals (DOHA). While this topic could cover several chapters, I have assembled a few basic tips in the process from our practice in this area of law. DOHA administrative judges make final decisions of security clearances for government contractors and recommended clearance decisions for federal employees. Keep in mind that it is important to obtain an experienced lawyer familiar with security clearance practice to best assist individuals approaching a DOHA hearing. Counsel can best advise an individual in how to prepare and present their cases in order to give the best possible opportunity for a successful outcome. A successful outcome often means putting in significant preparation ahead of time. This article discusses some basic tips. For federal employees, the ability to obtain or maintain a security clearance, for certain positions can be critical with respect to maintaining their federal employment. If a federal employee is required to have access to classified information, then they must be eligible for a security clearance in order to keep their position. 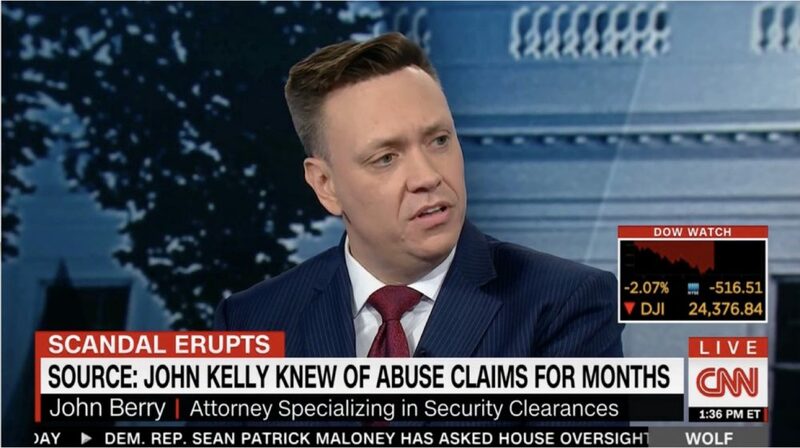 This article discusses the connection between security clearance and those employed by the federal government. If you are a federal employee or government contractor whose security clearance is under review and you are in the process of having your case heard before the Defense Office of Hearings and Appeals (DOHA), there are a number of considerations that should be made before you move forward to the hearing phase. Before DOHA, an applicant or re-applicant for a security clearance should be well prepared, in advance, to present their case at the hearing. It is often the case that individuals come unprepared for a DOHA hearing and walk away feeling less than confident about the outcome. Having legal counsel represent you in this forum is highly advised. Below are some considerations that our law firm takes into account when representing federal employees and federal contractors as they approach the hearing stage at DOHA before an administrative judge. A frequent topic that comes up in our law firm’s security clearance practice involves the issue of how to best prepare for an upcoming personal appearance or administrative hearing before the Department of Defense, Defense Office of Hearings and Appeals (DOHA). While the topic could be covered in an entire book on the subject, we have put together a few observations in the process from our practice our this area of law. It is very important to retain a lawyer familiar with the DOHA process. This is critical. An attorney familiar with DOHA processes can best advise an individual in how to prepare and present their cases in order to give the best possible opportunity for a successful outcome. Typically, a case gets scheduled for a hearing before a DOHA Administrative Judge following a response to a Department of Defense Consolidated Adjudications Facility (DoD CAF) Statement of Reasons, the individual’s response to the SOR (and their request for a hearing). If a case is not resolved with the individual’s response, then the matter will be scheduled for an administrative hearing. Usually, the attorney representing the individual will be notified of the pending hearing and will be asked to correspond with the government’s attorney to schedule the hearing date. When you receive a notice that your security clearance matter has been scheduled for a hearing before an DOHA Administrative Judge, there are a number of immediate issues that must be addressed in order to prepare for this very important presentation. It is important to realize that the Administrative Judge will have access to the entire case file of documents and information that was reviewed and/or considered by DoD CAF in making their earlier adverse determinations with regards to an individual’s security clearance. Here are some practices that we follow in our security clearance practice as we handle security clearance proceedings before DOHA during the administrative judge process. 1. Hearing Preparation: One of the most important aspects of the personal appearance is to thoroughly prepare for the administrative hearing. A DOHA hearing must be well planned out in advance. The applicant for the security clearance should be prepared to answer questions about the issues involved in the case. It is very important that that applicant also be prepared for potential cross-examination questions by government counsel. 2. Exhibits: Exhibits to support an individual’s case at a personal appearance are highly recommended and necessary. It is very important to gather as much evidence and/or documents in support of the individual’s security clearance matter as possible. If a written reference is to be submitted on behalf of an individual at a DOHA proceeding, it should be notarized where possible (or possibly in the form of a declaration) as these will be given more credence than those that are not sworn. 3. Government Exhibits: It is important to also be familiar with all of the government’s exhibits in preparation for the hearing. The most typical exhibit for the government will be the personal interview and/or the previously completed SF-86. It is important for the applicant or clearance holder to be familiar with their prior submissions in preparation for cross-examination. One of the most frequent questions is whether or not the individual agrees or disagrees with any statement made in the personal interview. 4. Witnesses: It is important to ensure that all witnesses for the DOHA appearance are present, ready and prepared to testify before the Administrative Judge. These individuals can include fact witnesses, co-workers, supervisors, doctors, specialists, and others whose testimony may go to the issue of granting an individual’s security clearance. In our experience, administrative judges tend to take character witnesses seriously in close cases. In sum, DOHA hearings are perhaps the most important part of the security clearance review process for DOD contractors and federal employees and should be treated as such. Despite any indications that the process can be undertaken by individuals without an attorney, I have found that to be an extremely unwise course of action which can have adverse circumstances. Anyone facing a DOHA administrative hearing should make the most of the opportunity to present a strong case in favor of the granting of a security clearance. If you need assistance with a security clearance case, please call us at (703) 668-0070 or contact us at www.berrylegal.com or through this page.